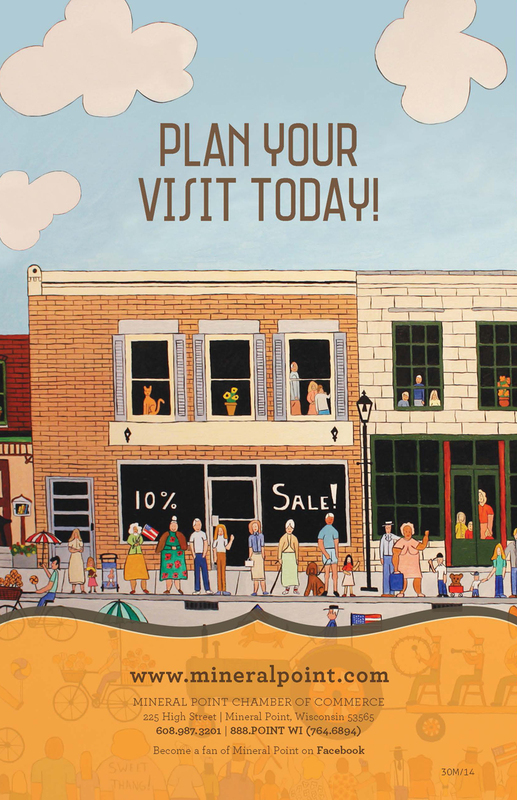 Treasures abound this weekend in Mineral Point! With so much bargain loot, you’ll feel like a pirate! 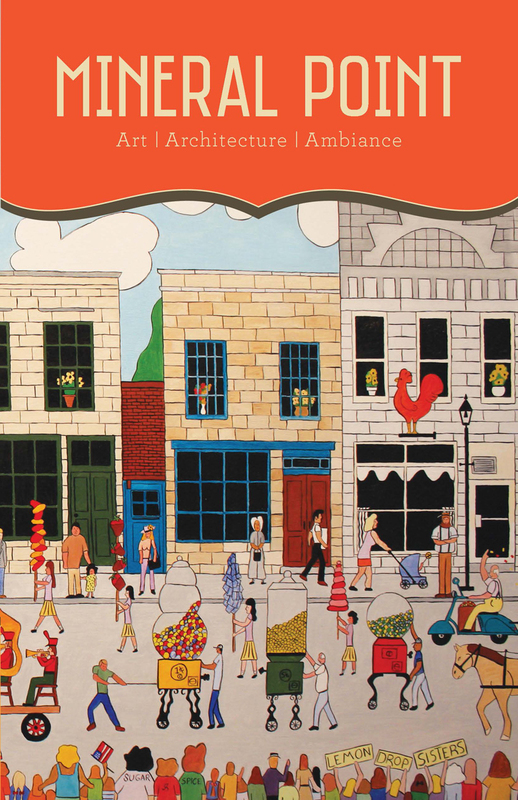 The 24th Annual City-Wide Garage Sale, is already underway. You can either randomly troll through town looking for the blue balloons at participating residents or click here to download the coveted map and organize your plan of attack. 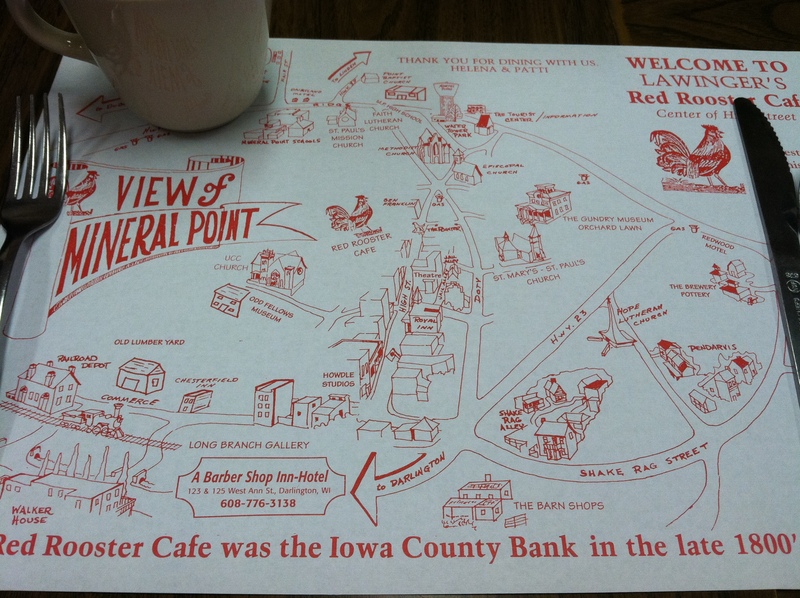 Back when the city-wide garage sales first began, the map was nothing more than the Red Rooster placemat with dots added. The current map is so popular that the Chamber of Commerce announced on Facebook that they had over 568 views after posting it on their website. The Friday music tradition continues with a Rick Harris Concert at the Gray Dog Deli. Rick has been featured on High Street Beat several times, both for his music and his art. This multi-talented fellow is responsible for the cover and backside of this year’s visitor guide! Saturday head to the Wantoot Gallery for Slow Art Day. Think of Wantoot as a modern art museum right in the middle of town. 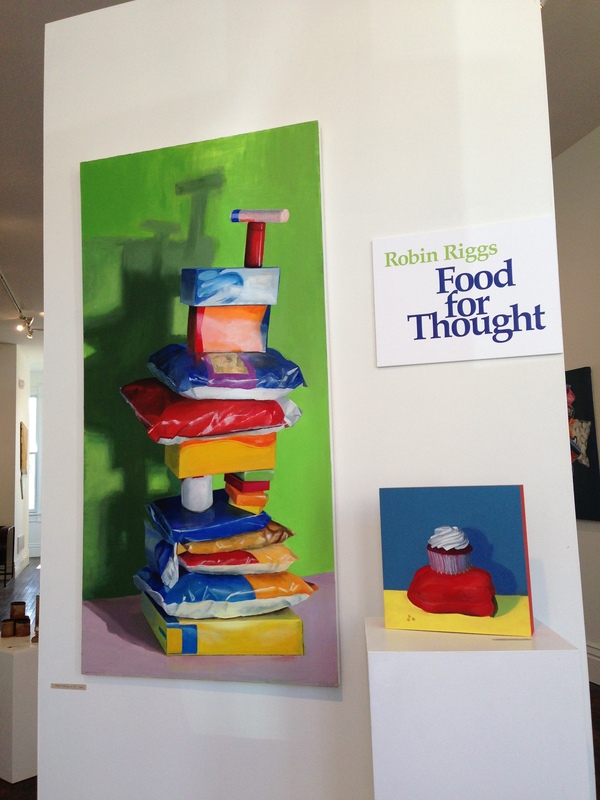 Even if you’re not in the market for a fantastic painting of junk food, you are welcome to come in and look. It’s fun in there! Right now there are several wonderful installations, including one of ceramic penguins flying a drone by Bruce Howdle protege Ash Kyrie. For more about how Slow Art Day works, here’s a link to our post on the subject from last year. The exhibits are different from last year, but the concept remains the same. Last but certainly not least, is the Annual Gala to Benefit the Community Connections Free Clinic on Saturday night. 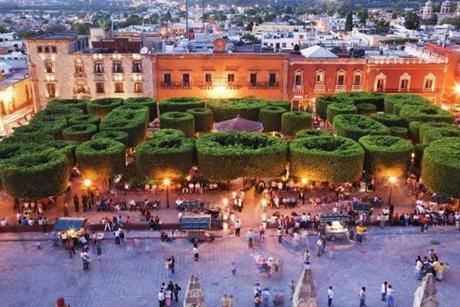 This year’s auction is loaded with treasure including original pieces of art, fun dinners, an exclusive cheese tour, and exciting get-aways including a trip to Mexico’s San Miguel de Allende (the Mineral Point of Mexico). Click here for a list of the auction items. This event (which includes an admission price of $30 in advance, $35 at the door) raises approximately 1/4 of the funds needed to run this vital clinic. For more about the Free Clinic, check out this youtube video. So, if you’re a pirate looking for treasure come to Mineral Point this weekend! Rooms are still available. This entry was posted in Art, Entertainment, Family, Music, Shopping, Traditions and tagged Community Connections Free Clinic, Garage Sale, Gray Dog Deli, Mineral Point WIsconsin, Rick Harris, Sandstone Nursery, Wantoot. Bookmark the permalink.